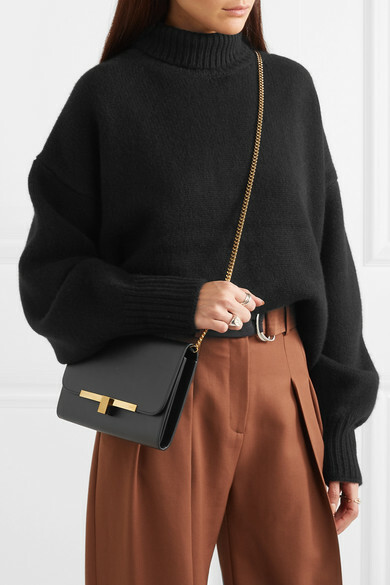 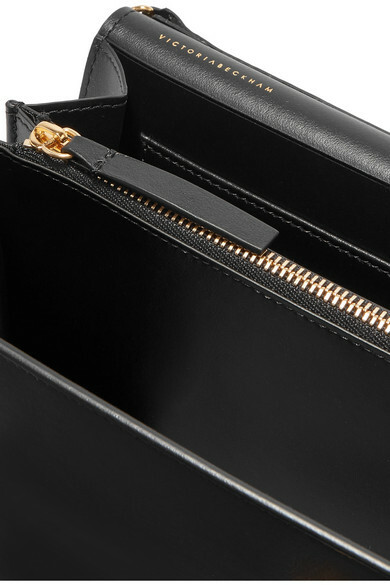 Victoria Beckham's clutch has been handmade in Italy from smooth black leather and comes with an optional gold chain shoulder strap to match the sleek hardware. 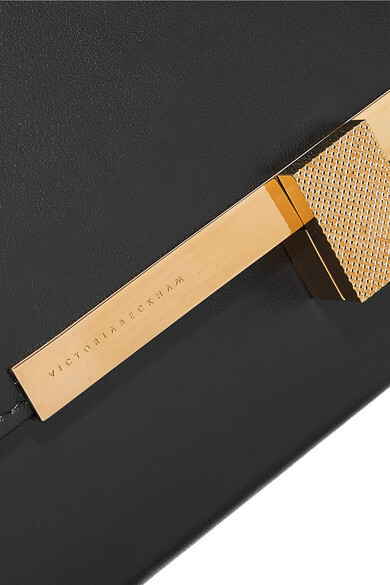 The designer says she fills hers with a crystal for positive energy, the beauty essentials she can't live without (including eye drops) and her cell phone. 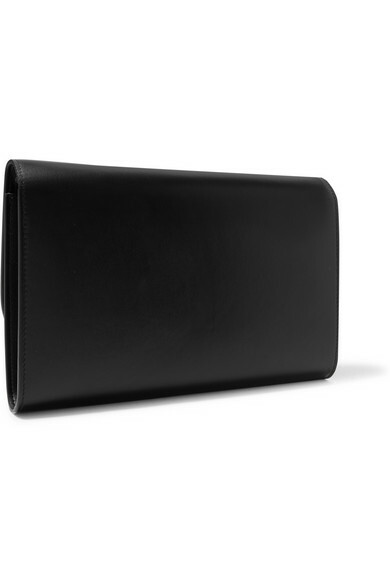 It's also equipped with six card slots. 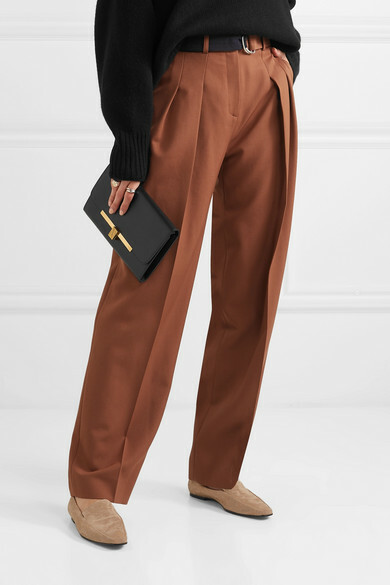 Shown here with: Tibi Pants, Givenchy Sweater, Prada Sandals, Maiyet Bangle.